Week 4 of my month-long Kickstarter project begins today. I had 7 wonderful people back my project in the third week and now have 60% of the total pledges needed to fund my art book project. 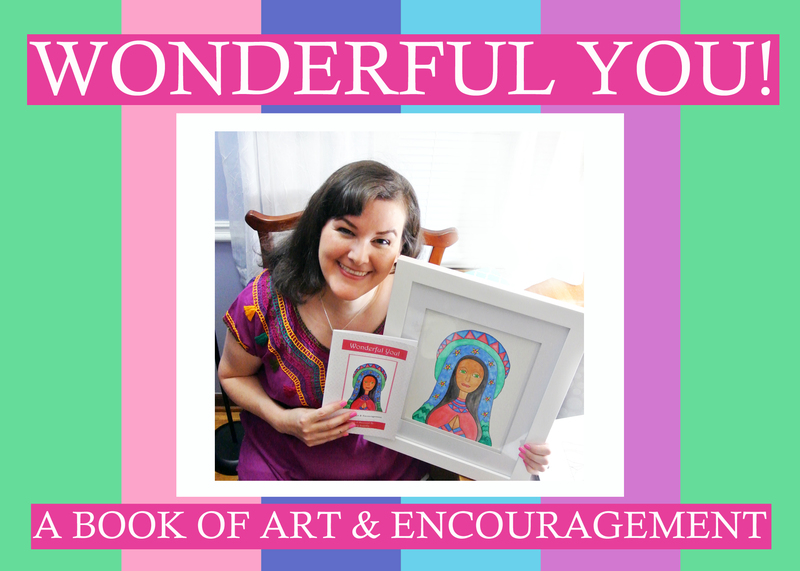 It has been a joy designing the book pages and receiving such great encouragement & support from my incredible group of backers. I’m still hopeful that the remaining 40% of pledges needed will find their way to my project before October 31st. 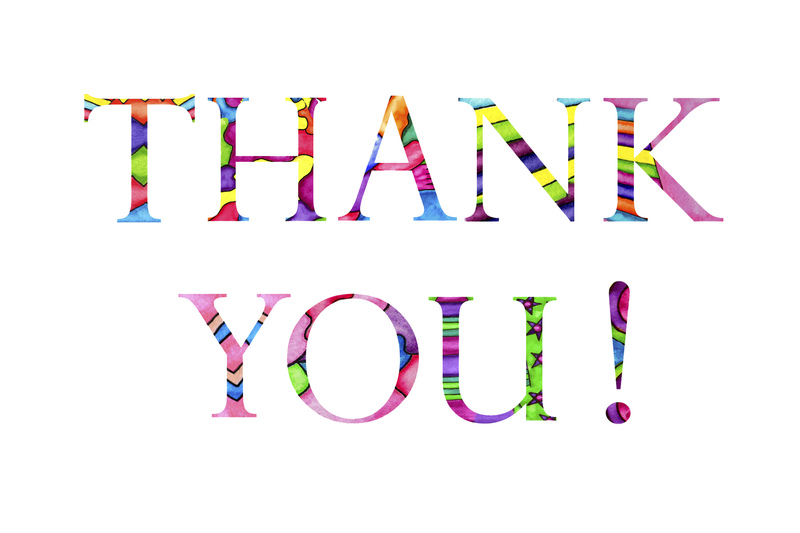 I designed this special “Thank You!” card especially for my awesome backers. I have it all prepared to send to the print shop on November 01st, hoping my optimistic actions might somehow help give my project that extra boost of positive energy needed for it to succeed in the final week. This is another hopeful design I made this week, “A Note of Thanks.” I love how the paintings & letters flow together to create a bright & colorful thank you card. This might be another option for my special backer cards – or perhaps I’ll try to create a combination of the two designs. I’ve been working on the letters for such a long time – now that they are all finished I’m really enjoying the process of combining them into words & special designs. Here’s another I made as an update to my project page. Week 3 of my month-long Kickstarter project has started and a huge thank you goes out to the 11 wonderful people who backed my project in the second week. I now have 47% of the pledges needed to make the book a reality. But I still need to raise more than half of my funding goal in the next two weeks, so the butterflies in my stomach are growing. I had a beautiful moment this week when I finally finished the alphabet poster, something I’ve been slowly working toward for years. 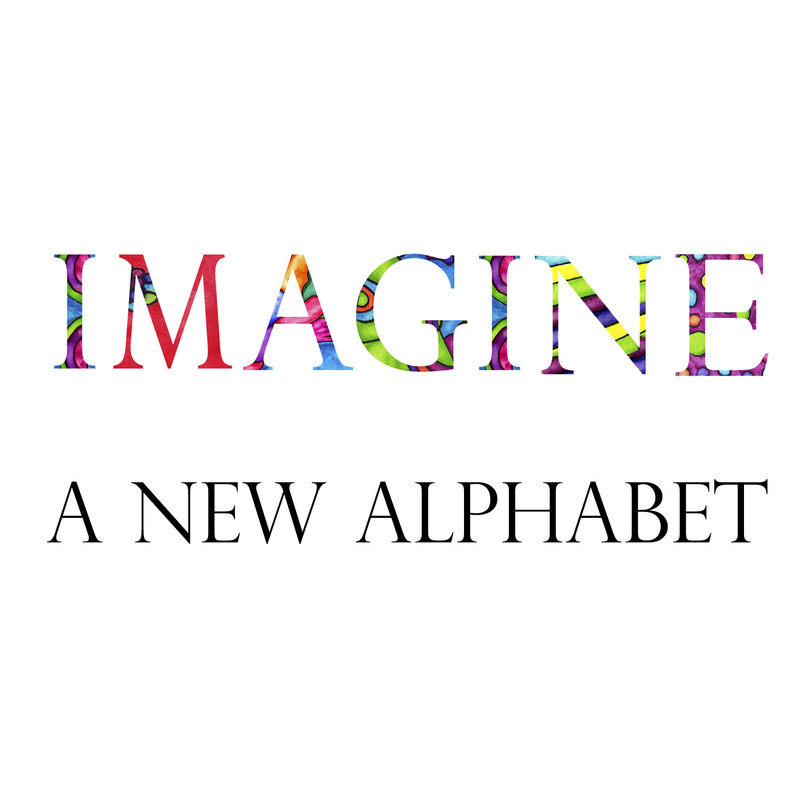 Each letter represents an original watercolor painting & design process that was a labor of love. The day I finished it also happened to be my 36th birthday, so I felt like this was a good sign I’m on the right path. 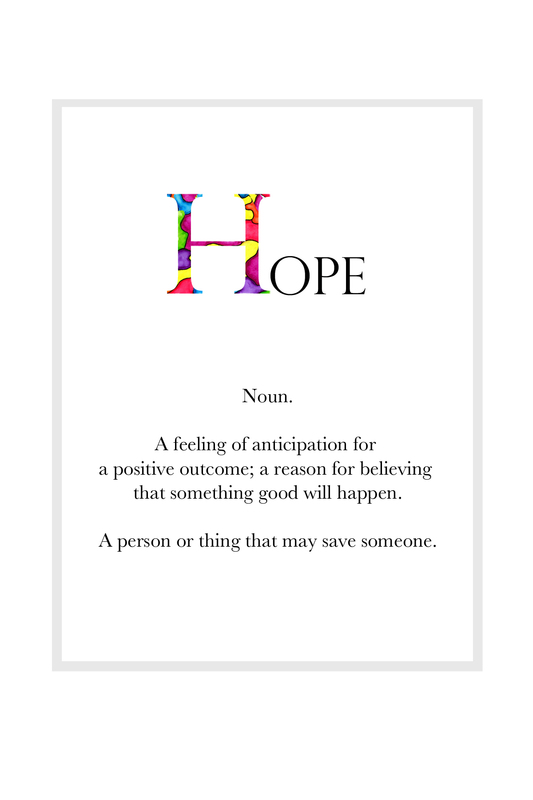 The definition pages are slowly emerging – I’m all the way to “hope.” I’m writing my own definitions for each word based on the traditional Oxford Dictionary, but modified with my own feelings & experience with the word. Two of my favorite definition pages so far are Dreamer & Friendship. Thanks for all your encouragement! 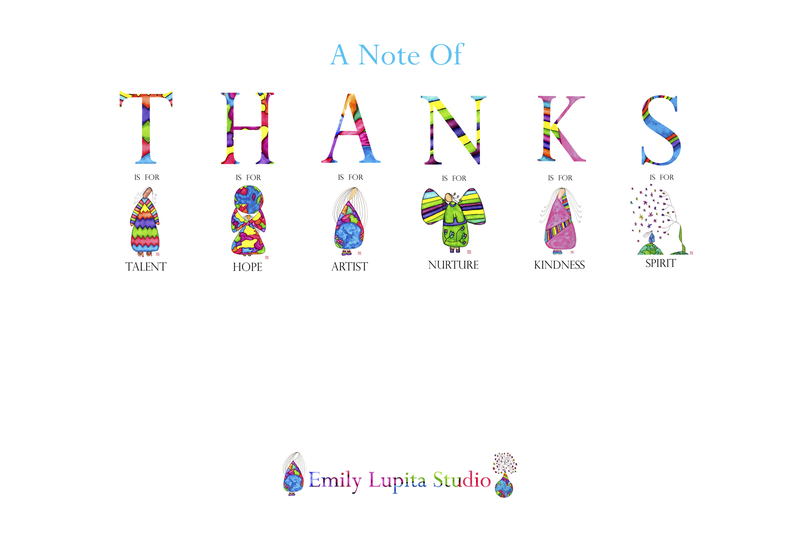 I’m entering Week 2 of my month-long Kickstarter project here at Emily Lupita Studio. I’m so grateful to the 13 people who backed my project in its first week & to those who’ve shared the project link with others. It’s exciting to see that I have almost 30% of my funding goal, but nerve-wracking to know I have a whole 70% to go in the next 3 weeks in order to make the book a reality. I’ve been working hard on finalizing the letter designs for the book. 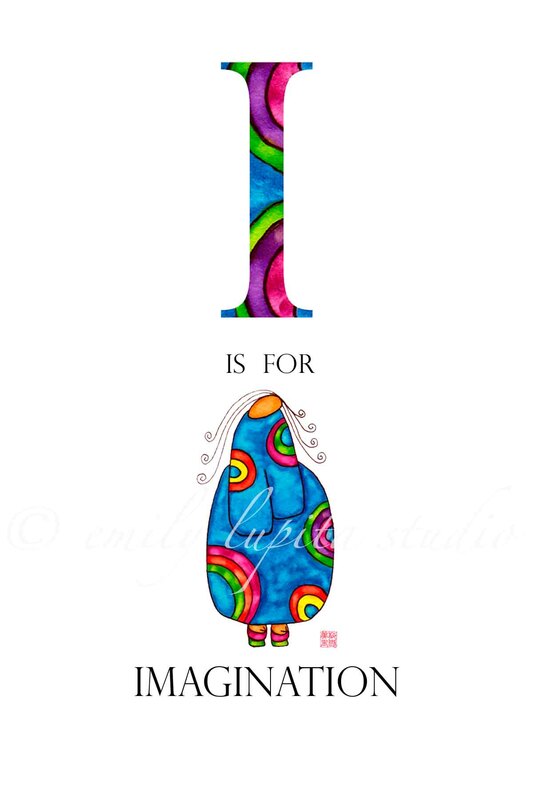 I have two new designs – “E” is for Encouragement and “I” is for Imagination. They make me smile! I’ve also started designing the definition pages that will face the letter pages. I made mark ups using a book of the same size to be able to format the layout correctly. Here are the first two pages – a glimpse of what the book will be like when finished. I’m just praying the Kickstarter campaign will be successful so I will be able to send the finished book files to the printer in November. This week I finished my Artist’s Alphabet series! I’ve been working on the paintings & pairing them up with the letters to create these designs for years now & it is wonderful to see them all together. I’m especially excited start collecting these designs into the book I dreamed up all those years ago when I first started sketching The Artist’s Alphabet out in my art journal. I look forward to seeing where this project takes me next! 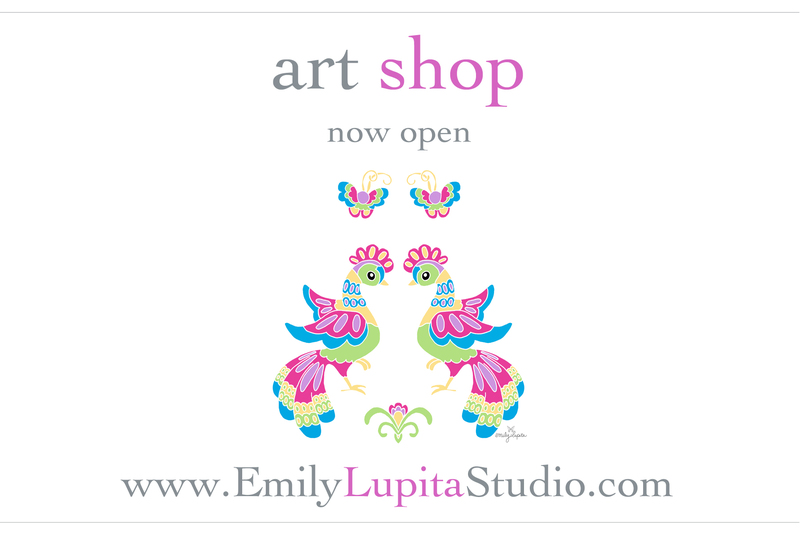 This week at Emily Lupita Studio I created a few collages to include on my new “About” page here on my blog. It was a joy putting them together & finding the best way to match my paintings with the photos. 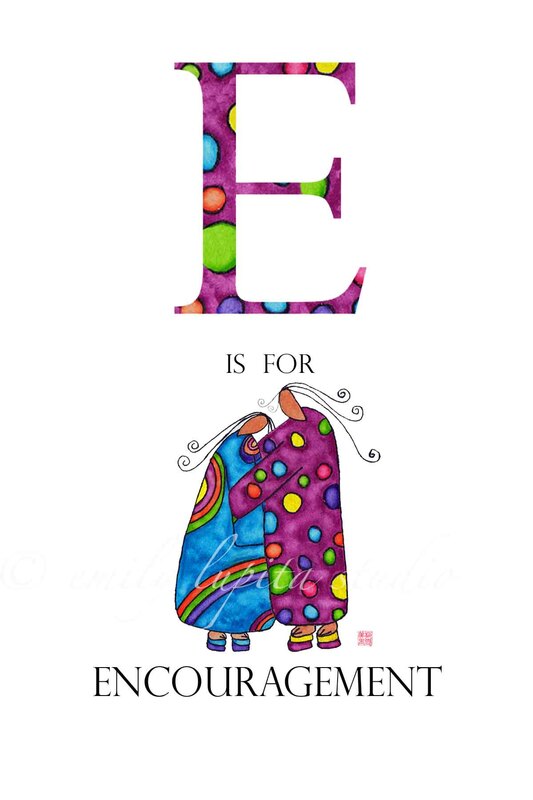 This week at Emily Lupita Studio I’m finishing up my designs for my new book, The Artist’s Alphabet. 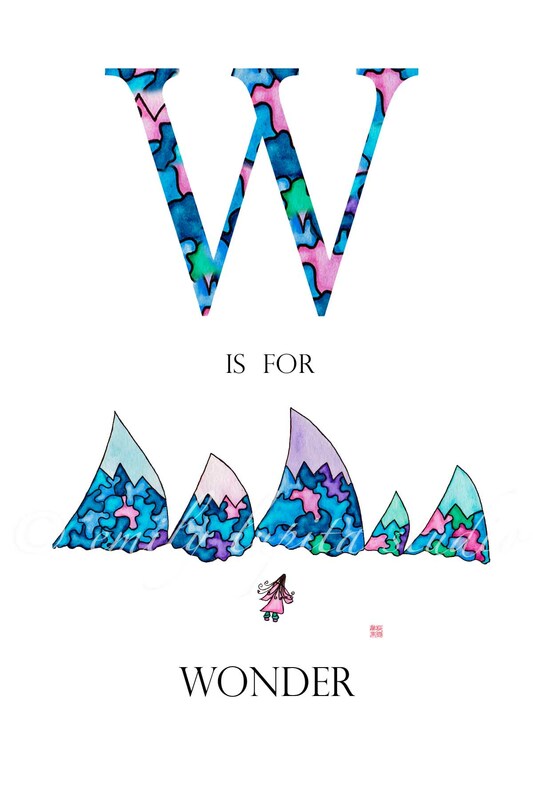 I’ve made it all the way to “W” is for Wonder. This book has been almost a decade in the making & it truly is wonderful to see all the paintings merging with the letter designs. The whole thing is really coming together…I’m excited! Artistic inspiration comes in many forms. 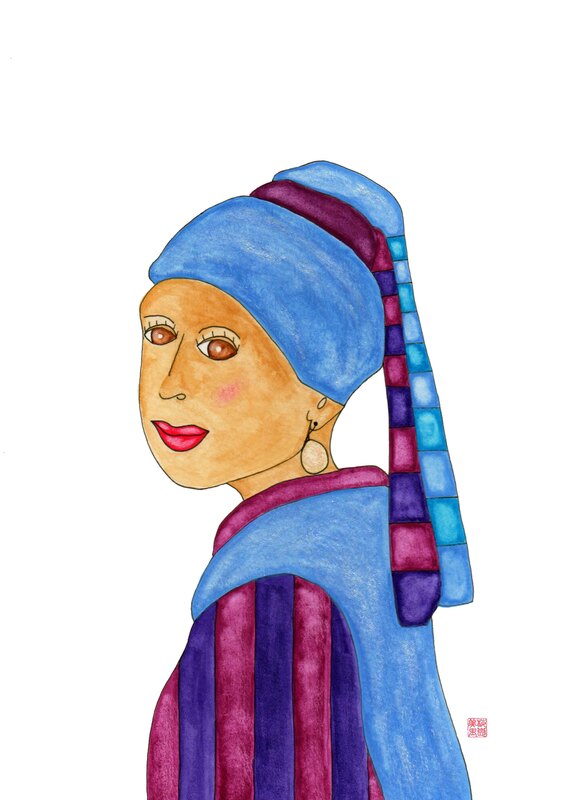 This past weekend I went to see the Girl with a Pearl Earring by Vermeer at the Atlanta High Museum of Art. I loved being back in the art museum, surrounded by beauty in all its many forms. When I got home, I was looking at the museum’s website and found their “Go Girl” gallery. 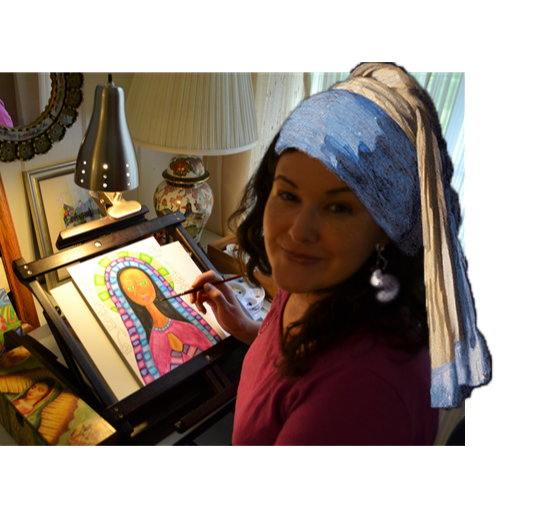 It offers a chance to be “part of the exhibit” by adding yourself to their online gallery – complete with Vermeer’s famous pearl earring and headscarf. I found this hilarious and, of course, submitted my own photo right away, not wanting to miss out on this once in a lifetime experience to laugh at myself dressed as a famous painting. I showed the picture to my husband and he thought it was great. He suggested that I try to paint my own Lupita version of the famous painting, based on this silly photo. I wasn’t so sure…but he kept encouraging me. So, I played around with it, trying all sorts of new things…and eventually this new painting emerged. I was delighted – most of all because I had such a good time doing it – I was like a little kid again with my paints designing away on a rainy day. But also because it felt like I was trying something new and I got to grow a bit as an artist. Once I got over the initial fear of making a mistake (the first couple versions I painted I had to throw away), I just really enjoyed creating & exploring the space on my art board. Then once the painting was finished, I had fun pairing it with a couple different paper backgrounds in purple. My previous visit to the art museum was in May with my mother and a group of close friends to see the Frida & Diego exhibit, which was just beyond stunning & still stays with me to this day. I’m hoping one of these days another wave of inspiration will roll in from that experience…can’t wait to see where the tides will take me next. What inspires you to create? Are there specific places you go to soak up the creative spirit?